Yep, you read that right. For the first time in three and a half years, Forever The Sickest Kids reunited in their hometown of Dallas, TX for a sold out show and a proper welcome home. Check out some of the footage below! The band broke out their instruments (and famous mic stand) for the first time in nearly four years, saying they spent two days locked down relearning the songs. “It’s our first show in three and a half years and tonight’s going to be a little rusty,” frontman Jonathan Cook said. But you would never have guessed that this was their first performance in years. Kicking the night off with the ever-amazing “Hey Brittany,” the band played such classics as “Breakdown,” “Whoa Oh! (Me vs Everyone),” “Believe Me I'm Lying,” and many more. Check out some of the amazing videos below and start feeling the nostalgia! Fans also showed some special love for the band. Dallas native Darneil White (@darneildtpg), a fan since the band's humble beginnings, made the night even more special with his amazing “Welcome home, Forever The Sickest Kids” signs. The band last performed on Warped Tour back in 2013. They’ll be hitting the stage tonight for Day 2 of So What?! Music Festival, performing their debut album Underdog Alma Mater in its entirety, so expect more nostalgic footage soon! Forever The Sickest Kids, y'all. I am living. 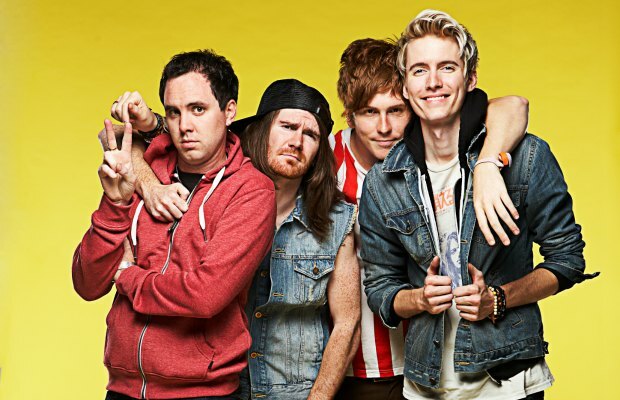 What song would you want to see Forever The Sickest Kids perform? Let us know in the comments below!